The vibrant capital is Dakar has many colorful markets, good beaches and excellent music. The dominant religion is Islam with nearly 94% Muslims while Christians make up 5% of the population. On the whole, the Senegalese tend to be very superstitious. 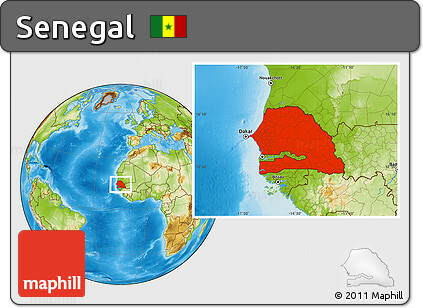 Senegal has a tropical climate and is generally hot and humid. The rainy season is from May to November with strong southeast winds and the dry season is from December to April and dominated by hot, dry, harmattan winds. The largest rivers include the Senegal in the north and the Casamance in the southern tropical climate region. The currency used is CFA Franc. Senegal is translated from the Wolof “sun gal” to mean “our boat”. Industries include agricultural and fish processing, fertilizer production, phosphate mining and petroleum refining. 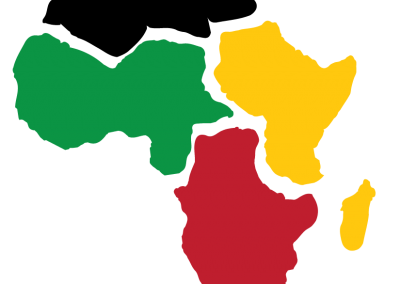 Senegal exports fish, peanuts, petroleum products, phosphates and cotton. The Senegambian Stone Circles were added to the World Heritage List in 2006. Each circle comprises ten to twenty-four stones, some weighing in at almost ten tones. Wrestling is the traditional and national sport of Senegal. Capital City: Dakar is the capital of Senegal, in West Africa. It’s an Atlantic port on the Cap-Vert peninsula. Its traditional Médina quarter is home to the Grande Mosquée, marked by a towering minaret. The Musée Théodore Monod displays cultural artifacts including clothing, drums, carvings and tools. The city’s vibrant nightlife is inspired by the local mbalax music. Religion: Religion and beliefs occupy an important place in the daily life of the nation of Senegal. A large majority (92%) of the Senegalese population is Muslim, mainly Sunni of Maliki school of jurisprudence with Sufi influences. Christians (principally Catholics) represent 7%.